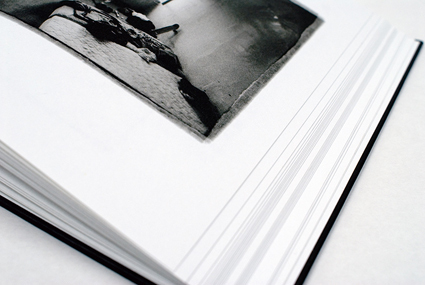 SOMETHING IN BETWEEN - SERGEJ VUTUC! 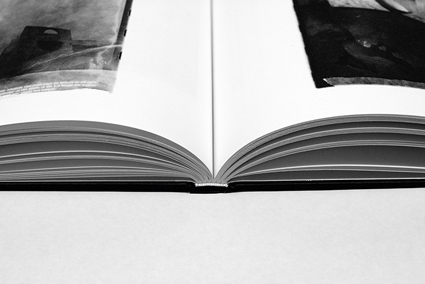 The 104-page book comes with a matte hardcover and features 70 b/w illustrations, digitalized from handmade prints that Sergej Vutuc produced in his darkroom using multiple ways of manipulation, and printed on a heavy, uncoated paper. Jocko Weyland, a New York based artist and author of “The Answer is Never”, illustrates Vutuc’s works in his essay “MAKE DEAD CITY MORE NICE” in the back of the book. Sergej Vutuc was born 1979 in Doboj (BiH) and spent 10 years in Zagreb (HR), before moving to Heilbronn (D) in 2000 where he currently lives and works. By mid of the 1990s he engages himself deep in the punk and skateboarding movement, playing guitar in his band, publishing records on his own label and being generally active in the skateboard scene on the Balkans. He discovers photography at an early age through his father. By beginning of his 20s the camera is taking his main attention. He starts to produce numerous zines and self-publishes 500 copies of his first book called “No Skateboarding Permitted” and at the same time directs and acts in a skateboard theatre play. By 2000 he moves to Heilbronn and opens up the “Basementizid”, an off-space project. Throughout 6 years he invites more than 50 different artists to exhibit their work under his roof. The Basementizid also functions as a platform for Vutuc’s own work, publishing countless zines and travelling and presenting numerous solo and group exhibitions under the same name at destinations all over the world. SERGEJ VUTUC EXHIBITS IN MONTPELLIER 25.02. - 24.04.2011!